Home | To Manfred. With love, his students. 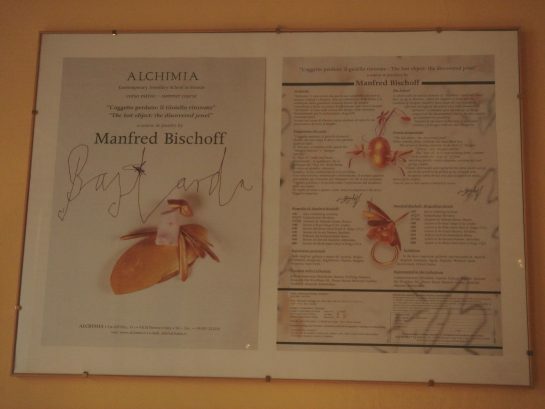 probably not all of you know that Manfred Bischoff has been teaching at Alchimia for 10 years, from its beginnings in 2000 and until 2010. His role has been immensely influential, his teaching philosophy brought a strong attitude to the school and shaped its ways of seeing jewelry, and the world. Without a doubt he has been a paramount driving force in the school’s growth and success. With emotion and joy, Alchimia is happy to introduce you to a beautiful and necessary show dedicated to the work of Manfred as a teacher, organized by former student Isabel Dammermann and on view during the Munich Jewellery week 2016 at 3 stations, in Welsestrasse 15. Below you can find all relevant information. What this exhibition reminds us of is that his work will continue to live, to grow, and to transform, through the minds, the eyes and the hands of the many, many students he allowed into his world. We hope to see you there to toast together to the beautiful and brilliantly fascinating Manfred, to a friend, to a teacher, to an artist, to a jeweler. 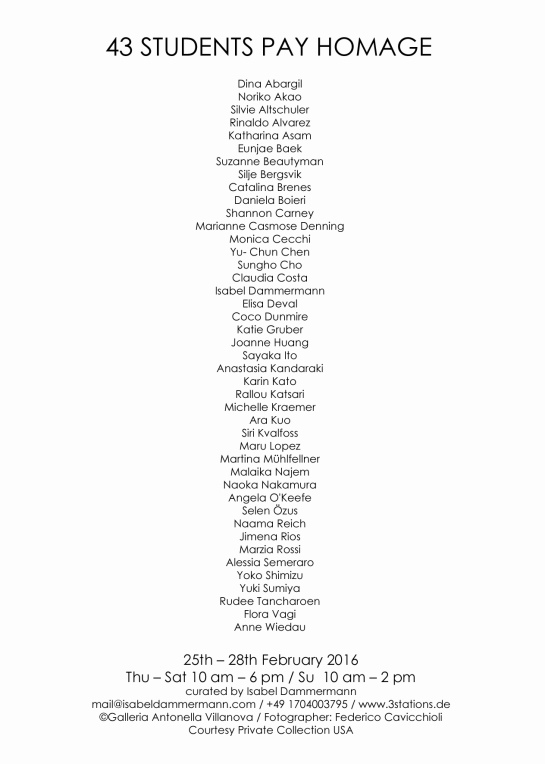 43 jewellery artists from 22 different countries come together for a memorial exhibition in homage to the genius and spirit of Manfred Bischoff, who passed away in 2015. 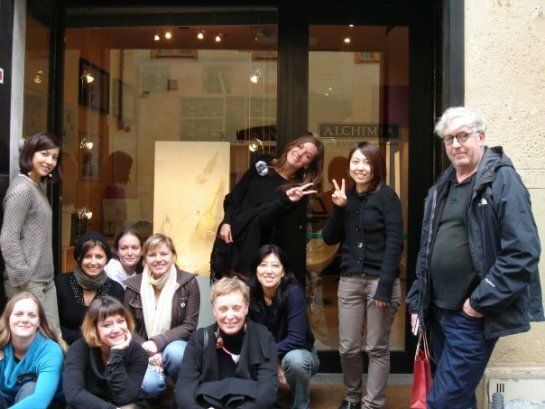 At some point or the other in their career, all of the participating artists have been taught by Manfred at Alchimia, and for this occasion they have each submitted one piece for an exhibition that wants to honor and remember a great professor, and guide. German born Manfred Bischoff lived in Tuscany in a house that was in itself a piece of exquisite art. Its magical interior made a natural and perfect framework for his work that has been called by many names: sensual, poetic, lyrical, great, intimate, strong, beautiful, satirical and always surprising. 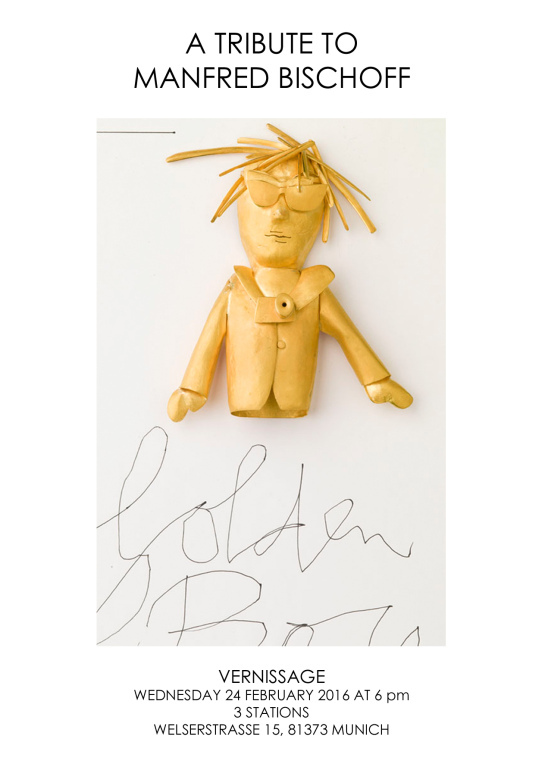 He worked in 22K gold, as pure as he could manage while still maintaining a rigidity in the metal that allowed him to execute his ideas in delicate and well crafted pieces, often accompanied by subtle pink corals and drawings. Thanks to his dedication to the language of jewellery and to his visions, Alchimia reached in a very short time-frame international fame and respect. As a student at Alchimia, you never really met Manfred until the third year. He was a giant figure who arrived to the narrow streets of Florence on Tuesdays. He spent time with the older students, watched the world from behind his sunglasses when he leaned onto the wall at coffee breaks, and then he vanished again. It was not until you were there yourself – in your final year – that you met the myth and could finally appreciate his capacity to engage in your work and to show you ways of developing it. He was a surprisingly selfless teacher, and during critiques, despite the small classroom, he would magically create an intimate space for you and him to discuss your work. His approach was always clear and direct, based solely on how he could help you to become a better artist. Only later you understand how exceptionally truthful and helpful he was in making you grow as a person and as an artist.